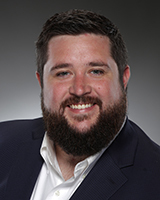 Tyler Epps joined Vintage Realty in 2018 as the Senior Originations Associate for the American South Real Estate Fund (“ASREF”). With experience in real estate development, acquisitions, and asset management, Tyler is responsible for sourcing and screen debt and equity investment opportunities on behalf of ASREF. Prior to joining ASREF, Tyler was an Asset Manager at Rialto Capital, responsible for managing a portfolio of hotels, apartments, and retail assets across the Southern and Western United States. Prior to Rialto, Tyler was responsible for managing a commercial real estate debt portfolio across the United States for Trimont Real Estate Advisors. Tyler has been involved in the underwriting and acquisition of more than 200 commercial real estate debt and equity investment opportunities valued at more than $4.0 billion. Tyler graduated from Georgia State University with a Bachelor of Business Administration in Finance, and from Georgia Tech with a Masters of Business Administration.